Mahdi Balali-Mood was awarded BSc 1st class Hon of chemistry in 1963 and then MD in 1970 from Tehran University. After his medical military service and training in internal medicine/clinical toxicology, he was appointed as an assistant professor in clinical toxicology and head of his newly established Poisoning Treatment Center (PTC) of Mashhad University in 1974. Mahdi was awarded a scholarship from the Ministry of Science of Iran and did his PhD in Clinical Pharmacology & Toxicology at Edinburgh University Medical School in 1978–1981. He was then working as a lecturer in this department until winter 1982, when decided to return to Mashhad to advance his established PTC, as the chemical war gas attack of Iraqi army against Iranian troops was his main concern. Mahdi was promoted to associate professor and full professor of Medicine and Clinical Toxicology, Mashhad University Medical Sciences (MUMS) in 1984 and 1988, respectively. He has served as a Clinical Toxicology Adviser to the International Programme on Chemical Safety (IPCS) and the World Health Organization (WHO), 1989 to date. He has also been a member of the IPCS Programme Advisory Committee since 2000. Prof. Balali-Mood was a founding member and the fi rst President of Iranian Society of Toxicology and was also elected twice as the President of Irantox between viii 1989 and 2001. He has been a member of the Iranian Academy of Medical Sciences since its establishment in 1990. 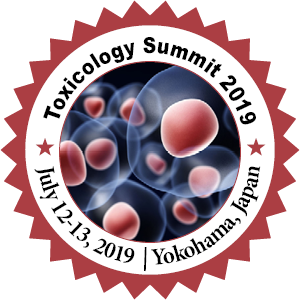 Mahdi with collaboration of the other internationally recognized medical toxicologists founded the Asia-Pacifi c Association of Medical Toxicology (1989) and served as the fi rst Vice-President and then as the President for 8 years (1994–2001). He was elected as a Permanent Member of the Academy of Sciences for Developing World (TWAS) in 1997. He was a member of Scientifi c Advisory Board of the Organization for Prohibition of Chemical Weapons (OPCW) 2004–2011. 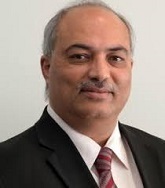 His other achievements include co-founder and Director, Medical Toxicology Research Centre, Faculty of Medicine, Mashhad University of Medical Sciences, 1988 to date; Editor-in-Chief, Scientifi c Journal of Birjand University of Medical Sciences , 2002 to date; and Associate Editor and editorial board member of many national and international medical journals. His research areas are Clinical Toxicology of Chemical Warfare Agents, Organophosphorous Pesticide Poisonings, Heavy Metals, Drug Abuse/Overdosage, Epidemiology of Poisonings, Occupational and Environmental Toxicology, and Natural Toxins including snake and spider bites. Prof. Balali-Mood was awarded several national and international prizes on Teaching, Research, and Medical Care including the prizes in medical care of chemical war veterans and research from the Presidents of IR Iran in 2003 and 2011, respectively. He supervised more than100 theses for MSc, PhD, PharmD, MD, and specialities in clinical medicine, mostly on CWA. 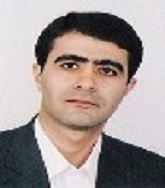 Mahdi is the author/editor of 29 books/monographs/chapters and 147 articles and 289 short papers and abstracts. His recent books on Basic and Clinical Toxicology of Organophosphorus Compounds and on Biological Toxins and Bioterrorism were published by Springer in 2014 and 2015, respectively. 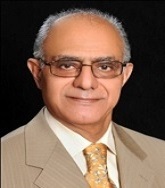 Dr. surena vahabi, received his Doctor of Dental Surgery degree in 1996. After graduation, while serving in his obligatory national services, applied for post graduate periodontics and implant courses in 1999 and attended the first grade in the periodontics residency exam among all candidates all over IRAN. He has been nominated all his 3 years over his post graduate studentship period. Following the graduation, Dr. vahabi got his board certified and from 1999 to 2013, held an appointment as an assistant professor at some universities where he has trained around 750 students who wanted to be a dentist and also more than 15 dentists who would like to specialize in Periodontics and advanced Implant Dentistry. He is quite active in CMEs (Continuing Medical Education) to update scientific information of dentists and specialists. One of his major roles in university is to design and direct research projects both in basic sciences and clinical studies. He has presented the results of his scientific articles in around 20 countries in 5 continents since 2006. Offering the most advanced technology in Periodontics and Dental Implantology, Regenerative Periodontal Procedures and Soft Tissue Grafting are some examples of how we achieve healthy and natural smiles. Dr. Vahabi has many interests ranging from reading and sports to traveling and tourism and he would be honored to share it with you. Many of his patients are his close friends now. Prof/Dr Jagat R. Kanwar has received his PhD in 1992 from Post Graduate Institute of Medical Education and Research (PGIMER), Chandigarh, India. Before joining Deakin University, Australia, in 2006, he was a Senior Scientist in the University of Auckland, Auckland, New Zealand. Dr Kanwar, group leader of the Nanomedicine-Laboratory of Immunology and Molecular Biomedical Research has a national and international reputation in investigating fundamental and applied molecular aspects of cancer and chronic inflammation. Currently, his major field if interest are nanomedicine based delivery systems for therapy/diagnosis, biotechnology, protein engineering of therapeutic proteins and find their mechanism of actions. He has successfully completed his Administrative responsibilities as Head of Nanomedicine in the Centre for Biotechnology and Interdisciplinary Biosciences (BioDeakin), Institute for Technology & Research Innovation (ITRI), Deakin University. 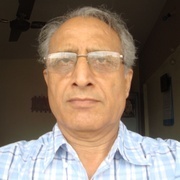 He is serving as an editorial member of several reputed journals in the field of Biochemistry, Nanobiotechnology, Nanomedicine, Cancer and Immunology. He has authored more than 85 research articles, 12 book chapters and 2 books, and secured more than 10 patents. He is the Member of Editorial Board for 12 international journals and a nominated member of more than 18 national and international societies including American Nano Society and American Society of Nanomedicine. Currently, his major field of interest are nano medicine based delivery systems for therapy/diagnosis, biotechnology, protein engineering of therapeutic proteins and find their mechanisms of action.